In Hear This, A.V. Club writers sing the praises of songs they know well—some inspired by a weekly theme and some not, but always songs worth hearing. This week, in honor of Best Of TV 2013, our favorite TV theme songs. 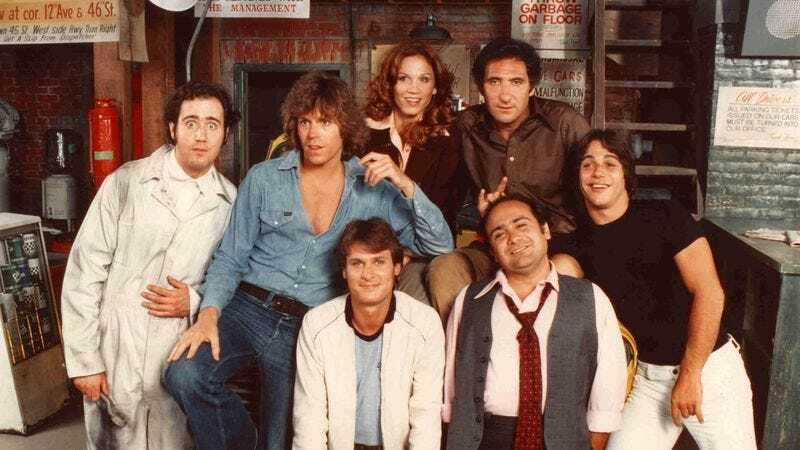 Running for five seasons (four on ABC and one on NBC) between 1978 and 1983, Taxi is one of the great examples of the television series as ever-evolving organism. Christopher Lloyd’s drug casualty “Reverend Jim” Ignatowski went from a one-off presence in the first season to a series regular in season two. When Andy Kaufman’s lovable mechanic Latka Gravas resonated with the show’s audience, the writers gave him more prominent storylines. And when musician Bob James presented producers with a melancholy instrumental theme for a guest character in the third episode, it wound up shaping the entire tone of Taxi. The song originally intended to introduce viewers to the world of Taxi was James’ “Touchdown,” which later became the title track of the smooth-jazz progenitor’s sixth album. But with sizzling hi-hats and bombastic horns, it’s nowhere near the proper fit for Taxi that “Angela” is. On a show that boasts one of the greatest sitcom ensembles in the history of TV, “Angela” is like the unseen cast member, the bleary-eyed sound of tires splashing through puddles and street lights streaking by cab windows. Taxi isn’t a “Touchdown” show: Its characters dream big, but none have the confidence to pull off whatever David Sanborn’s doing to his alto sax on that track. They are “Angela,” even if none of them is named Angela. They’re lonely and a little weary and their lives move at more deliberate bpm. None of them set out to be a driver, a mechanic, or a dispatcher—but, hey, Bob James didn’t set out to write the theme song for Taxi when he sat down to compose “Angela,” either.